Baseball trading pins as an important tool representing team spirit and team pride. Custom trading pins give players the opportunity to interact with other teams, create friendships and memories. Every year, teams, parents and coaches seem to be distressed about how to design a perfect baseball trading pins for their season. This year, we made 5 quick tips to help guide you getting the perfect trading pins for your team. This will give the manufacturers enough time to design and create the best trading pins for you. 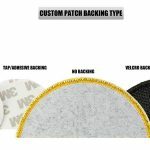 This also means that these pins will be available in sufficient time to prevent any problems, and there will be enough time to correct the mistakes. When you are starting your pin designs, you must consider the cost. Make sure you know what you can afford. The cost of production will vary according to the circumstances. It may vary depending on the different pin styles, quantity of order, size, and so on and so forth. If you can only afford to do a 1.5″ pin, and you ask to design something that is 2″ and has 2 to 3 upgrades, you’re going to have a very unhappy design experience. There’s a lot of great imagery and symbols in the baseball game. Here are some elements that you will consider when you design your custom trading pins’ design. When do you need the trading pins? Obviously, your baseball pins must have a baseball design. Have you ever seen a skull, crossbones, or crossed swords of the Jolly Roger? Mirroring the famous pirate flag, An X has always been a common design motif. 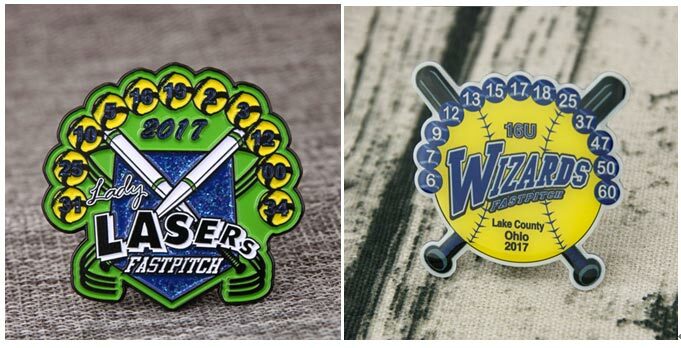 Most trading pins will include 1-2 or more of: Glitter, Crystals, Glow paint, bobbles, sliders, spinners, dangles, lights… these are all beautiful upgrades to your baseball pins that will increase the value, but will also increase the cost of your pins. You can also order special custom trading pins after the season to record the team’s accomplishments. You can include winning or losing records and any championships and titles won. 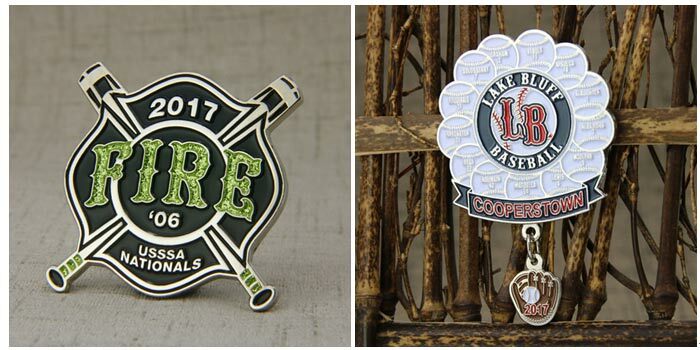 In order to ensure that the design fits everyone’s expectations, make sure to consult the entire team before selecting a baseball trading pins design. Our professional designers have designed thousands upon thousands of pins so if you are stuck by all means by the design process, they will definitely make recommendations throughout the design process. I promise you won’t be disappointed. GS-JJ does more than just baseball trading pins. We design custom trading pins for all sports, including soccer, hockey and football. You can learn more about our products by visiting www.gs-jj.com. You can also email info@gs-jj.com or call 1-888-864-4755 toll-free. 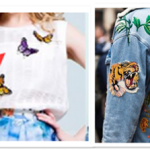 ← How To Use Iron On Patches On Clothing?